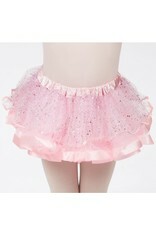 Light Pink Glitter Tutu - Dance Gear Etc. 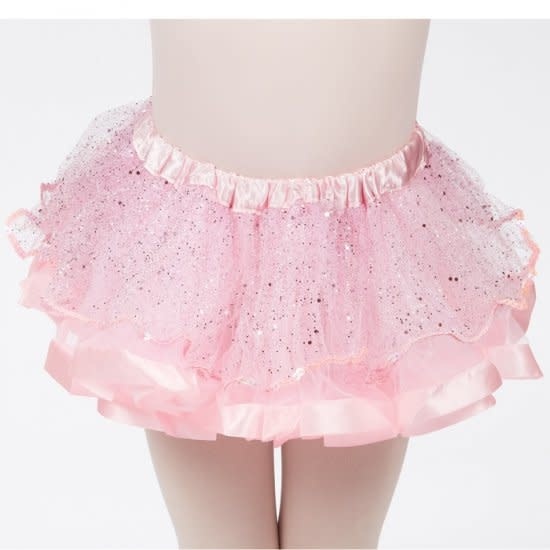 Super soft layers of tulle and satin ribbon adorne this tutu. The top layer adorn with with glitter and sequins. Waist trimmed in satin.